Today was the last day before fall break. The end of, arguable, the work, most stressful week of the year, especially for seniors. I knew that i was going to have group fitness that day, so I tried to think of something that would spread some good vibes and have everyone walking out of the class smiling and feeling good about themselves. So I thought of this: The ‘What We Love’ Board. Over the last 6 months, my relationship with my body and myself has changed significantly (for the good). I wanted to see how the kids in the class’ views on their bodies could change throughout the year. This is how I ran the activity: I had everyone sit in a circle next to 1 or 2 people who they felt comfortable and close with. Each person got 4 pieces of paper: 1 white scrap square, 1 pink post-it not, 1 blue posit-it note, and 1 green post-it note. First, everyone wrote down one thing that they didn’t like about their bodies/physical appearance on the white scrap paper. Once everybody had something written down, I put a trash can in the middle of the circle, and had everyone crumple up their piece of paper and throw it into the trash can. Once we got rid of all the bad thoughts, we wrote one thing we liked about ourselves on the pink post-it. For example, mine was my laugh and my ability to make other people laugh. This had nothing to do with my physical appearance, which is the whole point. I had everyone hold on to it and got them into their pairs/groups. With the other 2 post-it’s, I had them write something they liked about their partners (physical or personality). When everybody had something written down on each post-it, I had them all stick it up on a big poster. Our plan is to keep the poster with stickies up in the room all year to remind everyone how much good there is in the room. 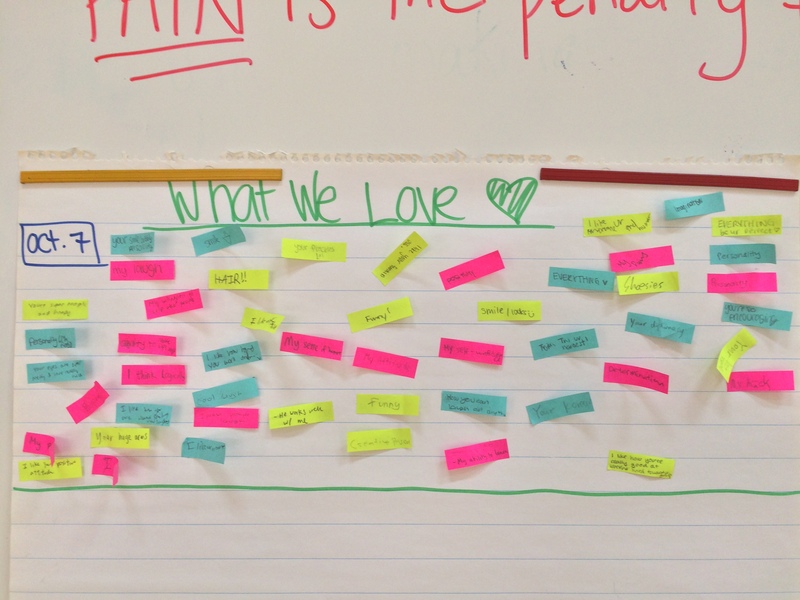 I want to run this activity multiple times this year to expand our ‘What We Love’ board. By the end of the year, I hope we have one giant poster of happiness and god vibes! What I want to see is how many people actually react to this challenge. I have a feeling that people will like the photo, but won’t actually go through with the challenge. I think this is going to be an extremely telling challenge about how our society views body image. If this doesn’t work, I’m planning on starting a hashtag trend in a few months where I have people post pictures of their body’s on Instagram, and tag 10 of their friends to do the same (a little bit like how the ice bucket challenge worked). I’m excited to see what I find out from this experiment, and I can’t wait to share the results soon. And please, if you are reading this, I am extending the challenge to you! Walking down the aisle of the supermarkets in Singapore is not exactly amusing. You look at the labels for the fruits and vegetables and see the same thing on every piece of produce: “imported from Indonesia”, “imported from the Philippines”, and “imported from Malaysia”. While it’s not necessarily a bad thing that we buy produce that imported from other countries, it’s definitely not the best thing. Not only are the fruits and veggies not the freshest, but we also don’t get a wide variety of foods. For my family, our standard shopping cart consists of apples, oranges, onions, broccoli and the occasional eggplant, but only if we find good ones. That’s basically it. 10 months out of the year. But for those magical two months that we spend out of the country (mainly in So Cal, a little in Japan), walking down the supermarket aisle is 100% my favorite thing to do (okay, that might be a little over the top, but you get the point). Instead of just reaching for our standard apples and oranges, I find myself reaching for pints and pints of strawberries, blueberries and raspberries. We get bags on end of cherries, picked right in California, and humongous summery watermelons. Not only do we get our fresh eggplant fix, but we’re reaching for bundles of asparagus, fresh corn, peppers, tomatoes, and possibly any other vegetable you could think of. Because of all of the fresh produce we have available, I find ourselves eating a lot healthier. We’ve been making tons of salads and roast veggie dishes, we’ve been adding fresh asparagus and tomatoes to our pastas, and tons of eggplant, onions and peppers to our curries. And let me tell you what, it’s absolutely delicious. Living in Singapore, I often forget how good fruits and veggies are supposed to be, and sometimes force myself to just eat the fruits and veggies like I’m taking vitamins or something. Becoming aware of the food you’re eating and learning to appreciate the freshness of produce is one of the most important steps to learning how to start eating better and enjoying the food you eat. So where do you get your produce from and how fresh is it? I promise, fresh produce makes all the difference! This is a new body challenge that has gone horribly wrong. If you are unfamiliar with the A4 Paper Challenge, here’s how it goes. You get an A4 sheet of paper and hold it up to your torso vertically. If the piece of paper completely covers your waist, you have “passed” the challenge. Creating inaccurate visions of what a woman’s body should look like, it is causing girls to do whatever is possible to fit their waist inside that little piece of paper. But why? When I first read about the challenge, I was so unbelievably angry that the world had created such a thing. Why do we have to keep on reminding girls what their body should look like? Each girl is beautiful in their own way, and trying to get your waist to fit into an A4 piece of paper is not healthy, nor is it was beauty is. Don’t look at this as a challenge, yet as a reminder to remind yourself how beautiful you really are, whether your waist fits in the paper or not, and focus on being healthy and happy. It blows my mind that I can pick up a magazine with the header “The New Plus-Sized Model”, flip it open and see a gorgeous woman wearing size 8 clothes. As a society, we have painted a picture of what the ‘perfect’ woman looks like; long skinny legs, a flat stomach, thin arms, and narrow hips. If I were to go up to a couple of random people and ask them why the descriptions above represent the ‘perfect’ woman, I bet the majority of them wouldn’t know why. I don’t believe that the ‘perfect’ woman we have put together is perfect at all, but it makes sense why they would think this way. When you search “woman’s perfect body”, this is the most popular photo that comes up. I was able to step away from the norms of society and create my own ‘perfect’ woman; a woman who feels strong and fit, a woman who believes that they are the best version that they can be, a woman who acknowledges their insecurities, yet doesn’t let that stop them from being anything but them, and finally, a woman who is happy. For me personally, if I drop time in my 200 fly, that is one step closer to being the ‘perfect’ version of me. For most people, stepping on a scale to see they’ve lost 3 pounds or measuring their waste to see that it’s ½ an inch smaller is what makes them feel better about themselves. Why do we obsess about getting smaller and getting closer to the ‘perfect’ woman? I take pride in my arms getting bigger, and my legs getting bigger, because I know that I’ve been working hard to build up strength and muscle, and that’s a hell of a lot more important to me than having long, skinny arms and legs. Why do we have to conform to the norms of society? Why can’t we break that trend and create our own versions of our ‘perfect’ selves? Going back to the model on the magazine, why does society categorize someone as plus size, just because they’re a size 8? A size 8 is in the average/healthy range. 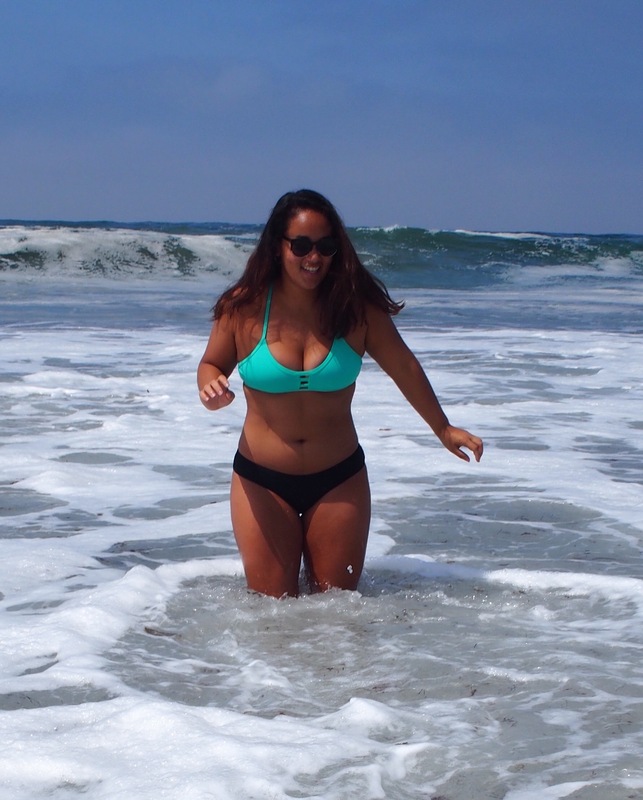 We do this because a size 8 does not conform to society’s rules of the ‘perfect’ woman. Does this mean that you can only be perfect if you look exactly like the ‘perfect’ woman above, because if that’s the case, then everybody would be trying to look exactly the same, and all of a sudden we’ve lost the identity of ourselves in this image that has been made up. It took only one person to come up to me and tell me that they admired how strong I was, both physically and mentally. Ever since that day, I take pride in my broad shoulders, my giant quads, and my strong, wide back. Stop being a follower and become your own leader; decide for yourself what the ‘perfect’ version of you is. And for starters, don’t call it the ‘perfect’ version, because nobody is perfect, and that’s what makes everybody special in their own way. And remember, this perfect, is not always the best ‘perfect’. Do you ever notice those girls in the gym locker room putting on make-up before they go work out? They sit there for hours doing their blush perfectly and fixing their hair into the perfect ponytail that will be ruined in minutes. Well I think it’s the most ridiculous thing. You’re at the gym to work out and not to impress or attract boys. Not only does make-up leave your skin dry and clogged, but you are going to sweat it all off within the first 5 minutes anyways. If you’re anything like me, you will be dripping 3 minutes into your warm-up. Although you may not have your eyelashes nicely curled and your foundation perfectly blended in, the sweat on your face is so much better. It shows the work you’ve put in; you are working hard in there, and that beats eye shadow and mascara any day. Personally, I love the way my face looks when it’s drenched in sweat. Okay, maybe it’s not that attractive, but when I look at myself in the mirror in between reps, and see the sweat pouring down my face, I feel good about myself. I feel like I’ve done something meaningful; like I’ve really put the effort into what I was doing. When I’m done with my work out and I’m standing in the locker room in front of the mirror, I see nothing but my natural face covered in sweat. I might feel sticky and gross, but there is a level of satisfaction I have with knowing that I brought that sweat on. Once I’ve showered and washed the sweat off my face, I feel so good. 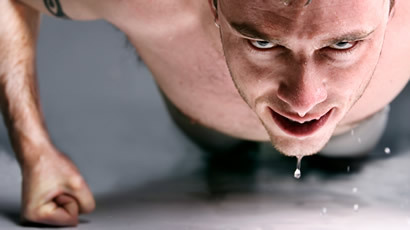 Sweat does wonders for your face; it unclogs pores and gets rid of all the bad toxins in your body. 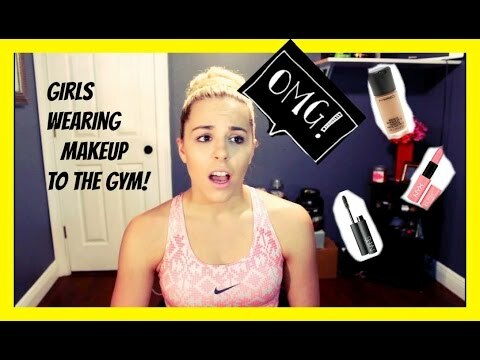 Don’t block the sweat by putting on tons of make-up before hitting the gym. As long as you’re drinking lot’s of water and staying hydrated, the sweat will do wonders for your skin and make you naturally beautiful! We live in a world where social media is the starting point for almost everything. This can be a great platform to raise awareness for important causes, or becoming reacquainted with an old friend. But while those are positives, the negatives can be extreme. Social Media opens up a door for anybody to say something (negative or positive) about somebody else. Sometimes this is anonymous, and sometimes it is not; but whether you know the identity of the person saying things about you or not is almost irrelevant. No matter what, hearing someone say or write that you have short legs, are ugly or fat is always going to make you begin to feel insecure about yourself. Everybody has their insecurities and they don’t need bullies out there making it worse for them. My big question is why these people write nasty things about other people, why do you even care what they look like when you don’t even know them? For some reason, people dwell on what other people think of them, even more than what they think about themselves. Isn’t the most important thing for you to be happy and feel healthy? With all of those body trends out there, it is impossible to have a body that everyone will think is perfect, and at the same time, there will always be something about yourself that you will not like. Why is having a gap between your thighs important, and why do your hip bones need to stick out when you’re lying out by the beach in a bikini? 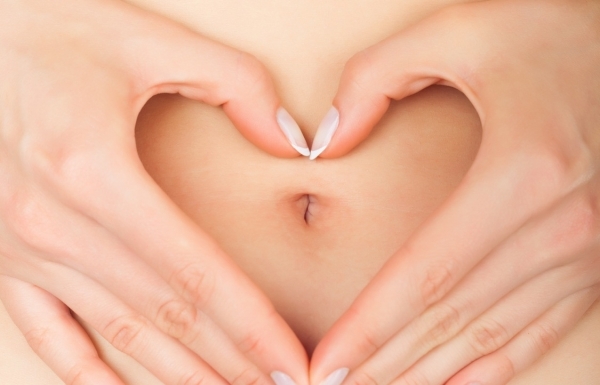 These body trends are not only unimportant, but they are unattainable by most people. I have never been the skinniest girl out there, but the important thing is that I am healthy and happy. I may not have a super toned 6-pack, but I can hold a plank for hours. I may not have a thigh gap, but I can do hundreds of squats and lunges. My hipbones may not stick out when I’m lying down, but I feel good in a bikini. It has never bothered me that I can’t be super skinny and have a thigh gap because that’s just not who I am and who I am supposed to be. So many people out there obsess over every little thing about their body that they forget what the most important things are. At the end of the day, you are not going to live longer because you have a thigh gap, you’re not going to find true love just because your hip bones stick out and you’re not going to be happier just because you have all of the body trends out there. To all the body shamers out there, it isn’t necessary to hate on other people’s bodies, especially if you don’t know them. Accept them for who they are and their inner beauty. To those of you who are always trying to change things about your body, remember this; the most important thing about you is who you are on the inside. Your friends and family will love you for who you are, thigh gap or no thigh gap. Instead of always trying to lose your body, build on it. Maybe today you can only run 1 lap of the track, but make it your goal to make it to 2, then 3 and 4. As long as you are happy and feel good about yourself, then there shouldn’t be any reason for you to listen to the haters out there. Love yourself for who you are, and the world will do the same! Leave a comment What Would You Change?